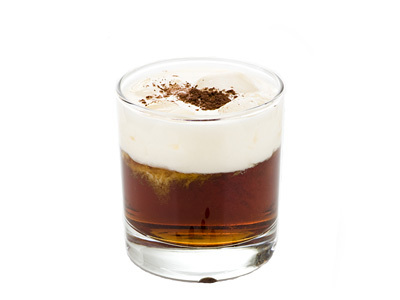 Apple Pie Shot Recipe - Shooter Just Like a Nutty Apple Pie, Any one? 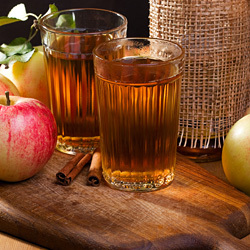 Move on with your routine hot apple cider – vodka shooter this fall season. The nutty hazelnut liqueur, fruity apple cider, spicy cinnamon and cream makes this apple pie shot a winner on all fronts of taste, flavor and kick. Go on.. have a blast! Shake cider and liqueur with ice for few seconds and strain into shot glass. Position the flat disc-shaped end of bar spoon over the surface of drink and slowly pour cream down the spiral handle making two different layers. Sprinkle ground cinnamon as garnish. Take entire shot in mouth, swish around few times and gulp.